(25′ x 10′) Spacious room with a large double bed and a single bed (which can be made up as three single beds). 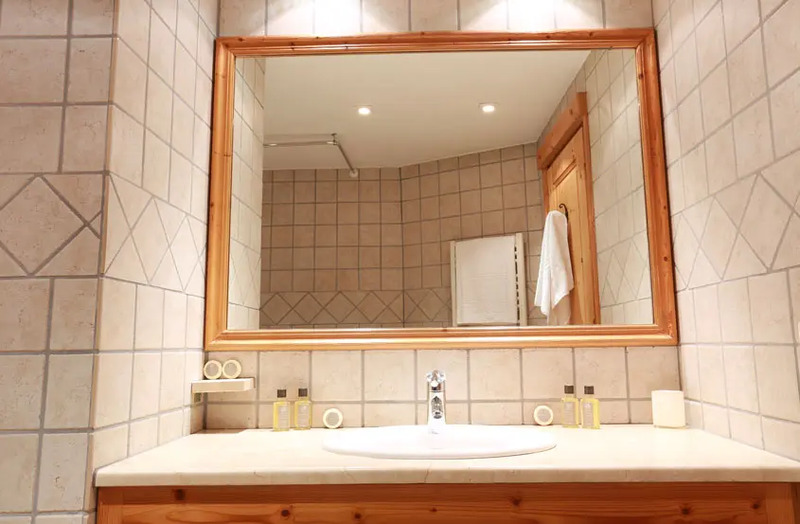 Large bathroom with wc. Twin (10′ x 10′). Bathroom with wc. Double (10′ x 7′). Bathroom with wc. Twin (10’2″x 9’4″). Bathroom with wc. Twin (11′ x 9′). Shower-room with wc. (26′ x 17′ including open-plan kitchen), windows on three sides, terraces on two, TV, DVD, WiFi and big fireplace. 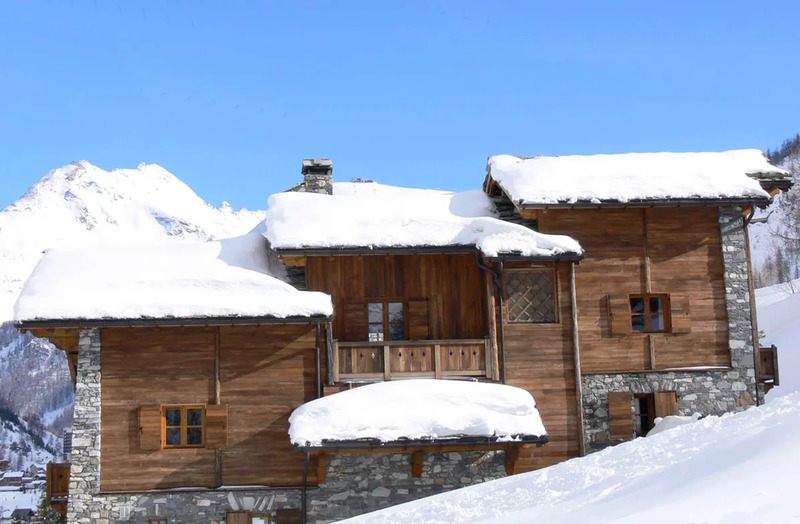 Chalet des Pentes (it doesn’t mean the chalet of pants – it’s the chalet of the slopes!) 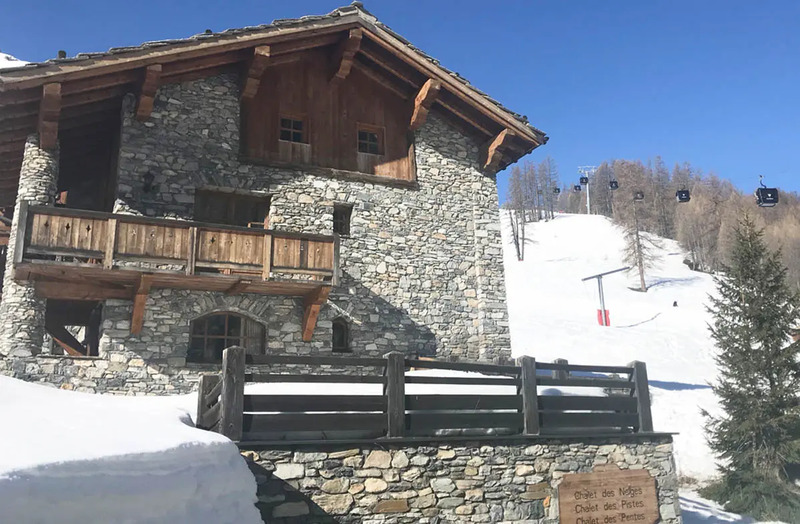 occupies the whole first floor of a large chalet built especially for YSE on the slopes at la Daille, literally yards from the bottom of the OK, Orange, Diébold, Raye and Verte runs. 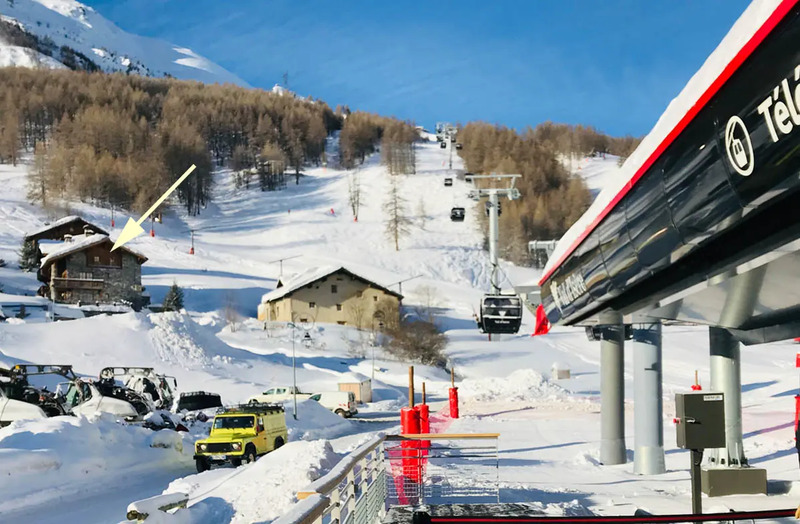 The Funival and the updated super-fast La Daille bubble pass close by. 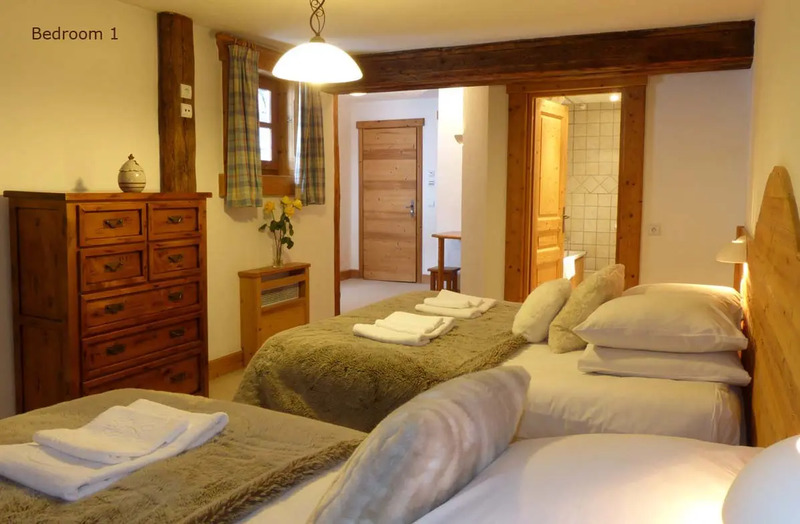 Chalet des Pentes has five bedrooms with five en-suite bathrooms. 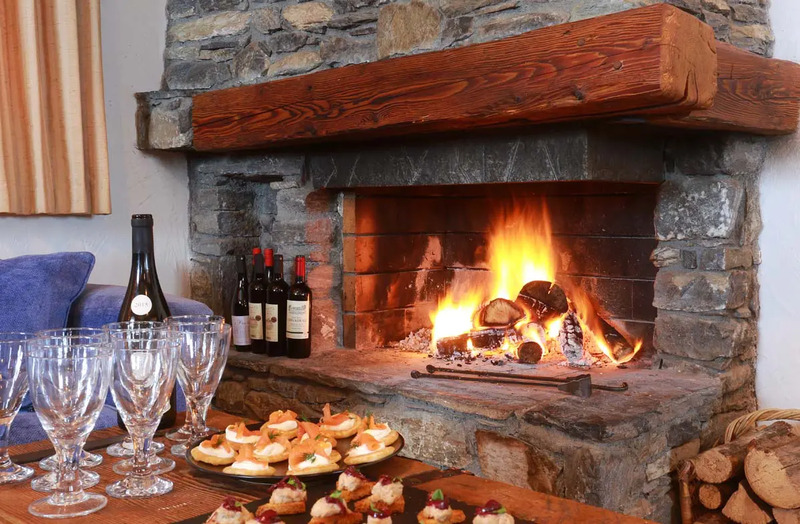 Its sizeable sitting-dining room has a log fire, wide-screen TV (FreeSat), DVDs and WiFi, and bottomless bespoke sofas. 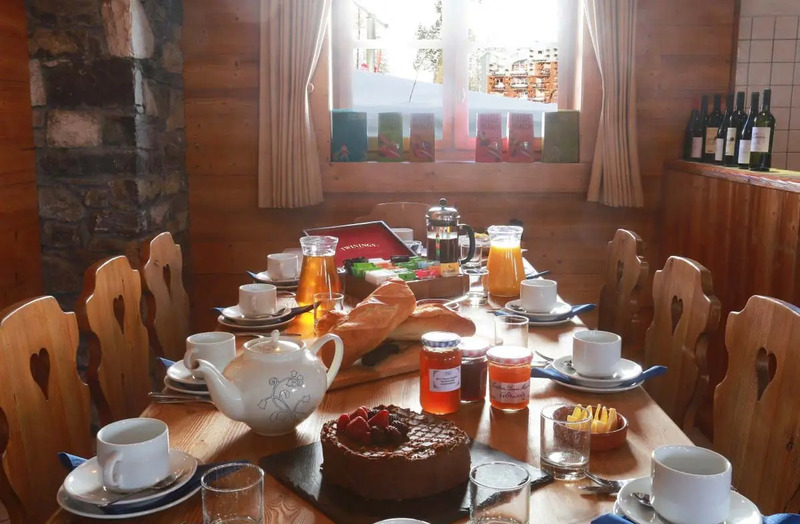 The chalet can take eleven guests, because Room 1 has both a double bed and a single. 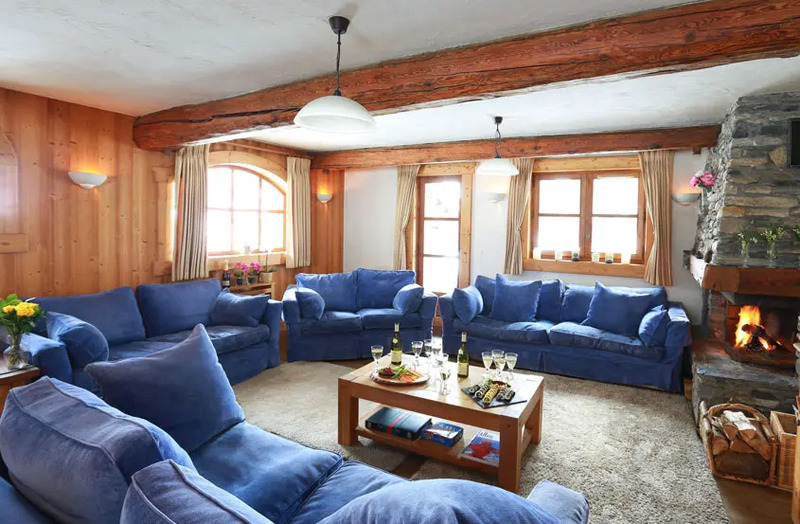 If one party books the whole chalet, a third person can stay in this room – see details under Extra Bed, left.